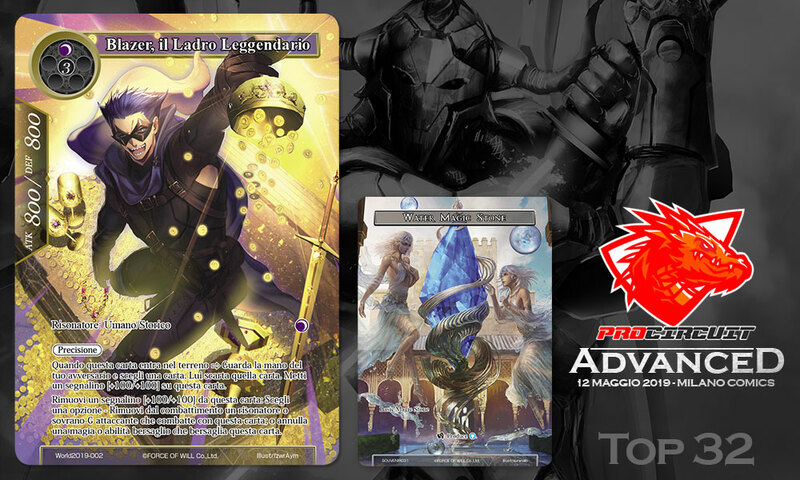 The PCQ is an open event and all Force of Will players may participate: it doesn’t require any invitation. Sunday 12th May 09:00 a.m. - 10:00 a.m.; Player Briefing and Tournament Start: 10:10 a.m.
N.B. 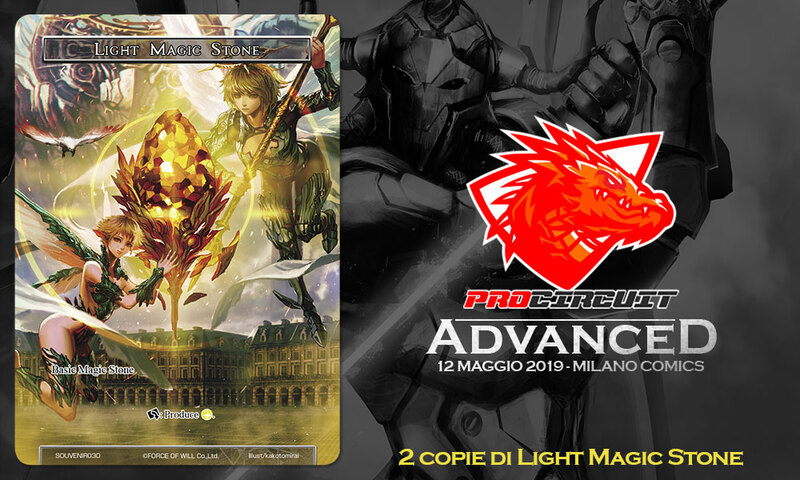 Players preregistered within Friday 10th May that participate in the Grand Prix get also a free pass to Malpensa Fair and to Milano Comics Convention that takes place at the same time as the tournament. Furthermore, players preregistered within the above date get a Participation Promo Foil Alternate/Extended Art Wind Magic Stone SOUVENIR032. Each Swiss Round lenght is 50 minutes* to play a best of three match (the player winning two games is the match winner). *Such a time limit is due to the schedule of Milan Fair that hosts the event. 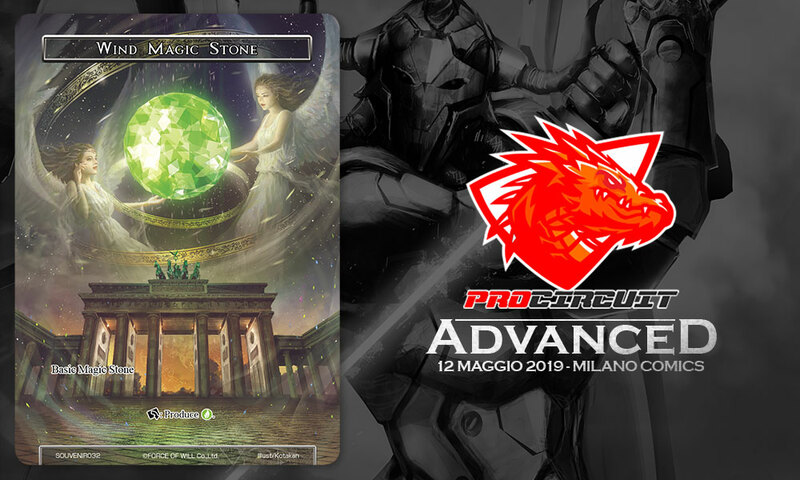 TOP 32: TOP 32 receive an Italian Promo Foil Extended Art/Alternate Art Blazer, the Legendary Thief and an Exclusive Promo Foil Alternate/Extended Art Water Magic Stone SOUVENIR031. An overall prize amount equal to 2 booster packs multiplied by the number of participants will be divided among the top 8 players. 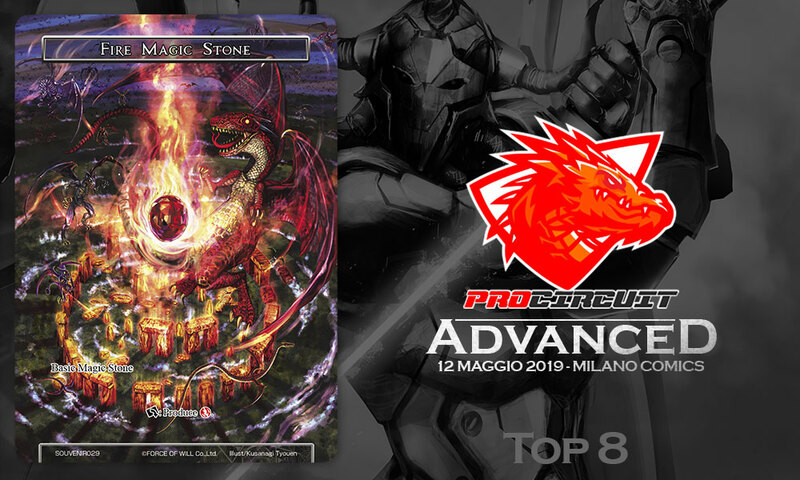 TOP 8: TOP8 players will receive each one Special Fire Magic Stone SOUVENIR029.